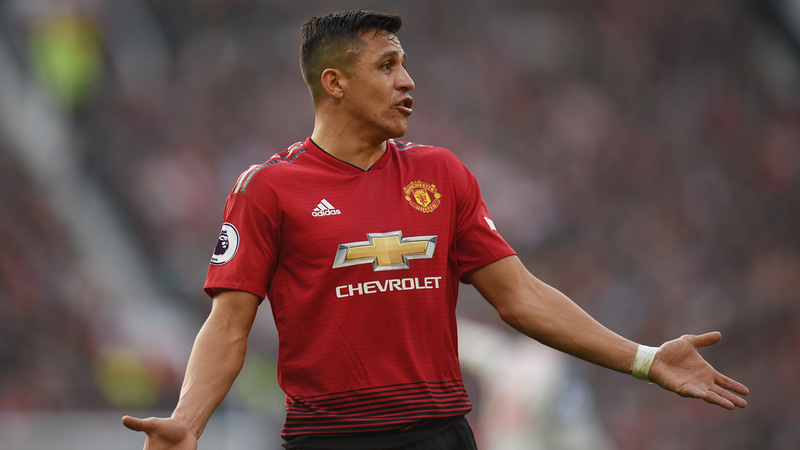 Alexis Sanchez and Romelu Lukaku must both take their opportunity to impress as an injury crisis cuts through Manchester United’s squad, Ole Gunnar Solskjaer says. However, United’s squad is stretched to the limit as they prepare for Wednesday’s Premier League trip to Crystal Palace, with 10 players either unavailable or doubtful because of injury. Lingard and Mata both had to be substituted during the first half of Sunday’s 0-0 draw at home to Liverpool, while Rashford played to the finish despite an ankle injury caused by Jordan Henderson’s challenge early on. Sanchez did little to impress after replacing Lingard, but Lukaku did make an impact after being moved from a central position to a wide role in order to reduce the injured Rashford’s workload. “It’s a chance for them to play to their potential. Reputation is one thing, but the potential is high,” said Solskjaer. “The two are good mates and they link up well together, so this might be a chance for those two together to find some form and give us a selection headache for when everyone gets fit. “Rom created our two biggest chances against Liverpool. “It’s a different position for him, but Rashy’s injury meant we had to leave him standing up there and running in behind. He couldn’t do too much defending work. “They’ve been part of our training for a long time now,” said Solskjaer. “Angel has been in that successful England Under-17 side, the 2017 World Cup-winning team with Jadon Sancho, Phil Foden and Callum Hudson-Odoi. “He’s been a big part and has definitely shown he’ll do well. “Jimmy Garner is a Michael Carrick-type player, but 20 years younger. I’m sure he’ll do well. “Chongy will be taking people on if he comes on. “They’re ready, the kids, it’s hard if you’re a young defender coming on but as an attacker you go out there and express yourself. Read 3 Reasons Why Girls Keep Friendzoning You – Number 3 Will Shock You.